Frequently we’ll find church doctrines and teachings encouraging believers to cling to a law of works, found within the commandments of the Old Covenant. The problem with this? 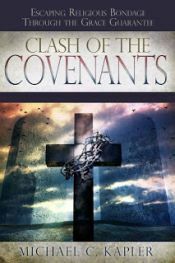 New Covenant writings reveal why the law was given to Israel (and not to us who are Gentiles). 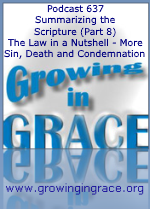 Those commands within the law caused sin to increase (not decrease). It was a ministry that killed and condemned. The law demanded perfection but was powerless to provide the ability to attain it. It once had glory, but came to an end, where the glory faded, and now has no glory at all. Why? Because of the surpassing glory ministry of the Spirit of God, which replaced the requirements written on ink and on stone. We are now in the life of Christ, we’re empowered by the Spirit of Grace where new life flows and the fruit of the Spirit is produced, apart from the works of the law.